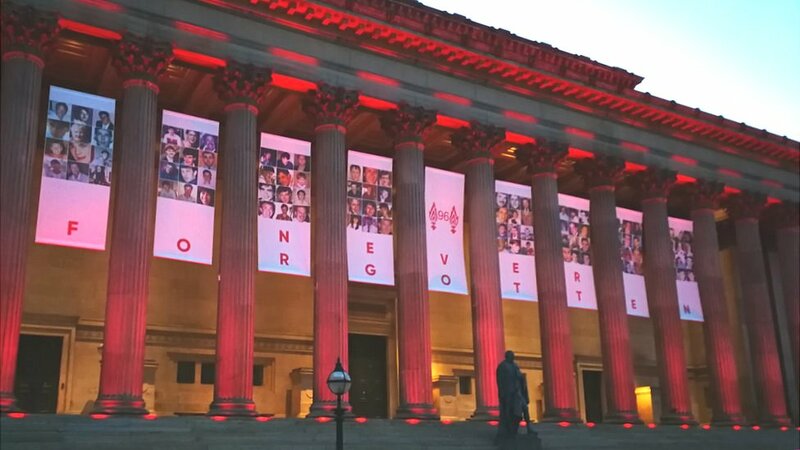 Banners with images of the 96 fans who died in a crush at an FA Cup game between Liverpool and Nottingham Forest have been hung at St George’s Hall. A minute’s silence will be held in Liverpool on Monday at 15:06 BST – when the match was halted on 15 April 1989 at Sheffield’s Hillsborough ground. Fans attending Liverpool’s match with Chelsea on Sunday afternoon have also been encouraged to leave tributes outside St George’s Hall.